Wipe loud! Or else they might not hear you going. And They gave Him a license,...to drive ? "Let me grab some things from the shed before we go." 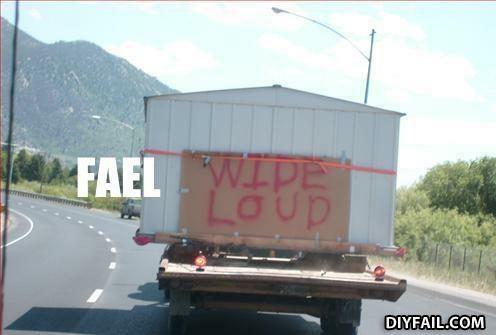 He must have some epic speakers in there! The P in WIPE looks like a D, so for all we know it could say WIPE LOUP or WIDE LOUD Also how is it staying on there? How do you get a black man out of a tree?